Director of Cricket Operations at the end of this month. Haroon, was discharged from the responsibilities of chief selector when PCB dissolved the selection committee after the national team’s poor performance in the Asia Cup and the World Twenty20. Haroon has worked in PCB at different positions including that of chief selector, manager, coach and Director game development. Talking to APP, a PCB official said that Haroon is a top candidate for the post of Director of Cricket Operations as he is liked by many senior officials in the board. 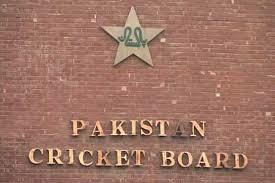 He said the board had given advertisement for the hiring of Director Cricket Operations and its condition includes having 10 years or more working experience in top cricket positions. “Haroon meets all the conditions that are required for the position,” he said adding he himself is also very eager to get a role again in the board. Director Cricket operations,” he said.